From overwhelmed parent to grateful parent. Repost. I decided to repost this blog from May, 2014. It is still relevant, albeit with some minor changes in our lives but I thought it was a good reread for this time of year for parents of three or more kids. Happy reading! There are generally three times each school year that leave me feeling breathless, rattled, unsure of my ability to be supermom, flying from this to that. And that was when I had just one kid in school full-time. Having two this year and a third gearing up for kindergarten in September, I wonder how I’m going to handle it all. The first time is back to school. If you have one or eight kids this is a crazy time as you prepare you little student for their upcoming year. Second is just before Christmas break. Concerts are planned, gingerbread house making nights, presents to buy and the holidays to prepare for. Third is right now – mid-May until mid-June. Four weeks of frantic activity from everyone involved. The kids start getting their first taste of warm sunshine. They want outside. All the time. Desperate to soak up the rare vitamin D in our part of the world and chase the explosion of white butterflies and bumblebees. Especially after a year like 2014 that has been low on the sunshine and a what seemed like we lived in the movie, “Frozen” where snow and ice-covered our land. Trying to get them to bed at their regular bedtime is challenging, even with blackout shades as the older ones know how to raise them up and peek out the window at the sunset. So they read, chat and play and don’t fall asleep until after 9 pm and it is dark outside. For some reason it doesn’t phase them getting up with the chirping robins at 630 am. The only person in the house who is still going to sleep no matter what is Jacob, the three year-old. So, trying to match their boundless energy I coerce them into completing homework and practicing for upcoming recitals and performances. Yes, every single program my kids participate have their end of year performance, recital or celebration within this four week period. If you are blessed with children who like the performing arts, it means costume trials, dress rehearsals and early morning line-ups to buy tickets to your blessed child’s five-minute routine during a three-hour show. It also means trying to prepare them for these routines the best that you can while they blow bubbles in the backyard because how can you deprive them outside playing time when they have waiting almost seven months for warm summer breezes? But we try. Oh do we try. 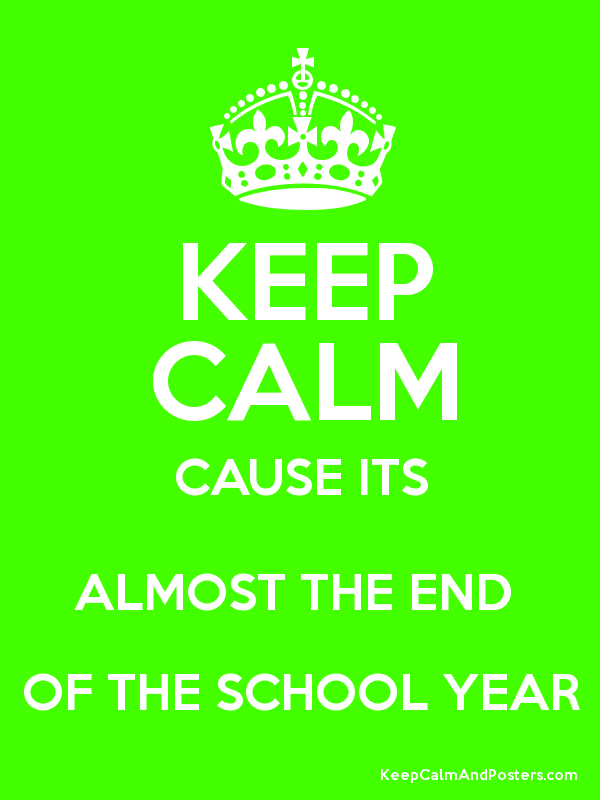 Another testament to my patience this time of year is the endless “end of school” celebrations. I admire and appreciate the school’s desires to honour parental volunteers and celebrate the end of the year. But between you and me, having three kids means I have to squeeze in trying to attend all of their school-related stuff. Spring concerts, BBQ’s, Fun Fairs and volunteer teas. Not to mention the onslaught of trying to do that last-ditch attempt at fundraising so movie nights and art nights. Trying to attend them all, I enthusiastically cheer and really do appreciate the time it takes to organize these things and have a lovely time when I’m there. But then my kids can’t complain when their summer clothes are being pulled out of the bins as the temperatures increase and I really can’t send them in cords and long sleeved-shirts any longer. A quick check to see if too wrinkled and a sniff to see if items pass the smell-test I throw summer dresses and short-sleeved shirts their way hoping they haven’t grown out of them. Something has got to give! Oh, did I mention soccer started? Yes, all the spring activities start during this time frame as well and with that means extra nights for picture nights and Friday evenings fraught with on the go dinners to get two kids to soccer. In between all of the above are teacher-parent meetings as teacher’s start collecting their marks for the year and parents try to encourage their kids to “give it all you got for these last few weeks!” Time to shop for year-end gifts and decide if other parents are giving the jazz class instructor a token of appreciation and who makes the cut and who doesn’t in my quick and dirty gift-shopping spree. Having three or more kids means you also have to remember, did I give that gift to that teacher last year? Will the bus driver appreciate yet another gift card from me for coffee at Tim Horton’s or should I do something new? Oh and I’m trying to pack for our first summer trip of the year, finish editing a book (this is where I am glad I finished it before this time period), exercise to get ready for two and a half weeks at the beach and squeeze in those last playdates with my kid’s friends because goodness knows there are some kids they won’t see all summer (gasp!) and they absolutely must have them to our house one more time. But yet, although I may complain about how crazy life is about to get I am aware this is brought all upon myself. I can pick and choose how absurd our life gets and for that I am thankful. I am thankful I have schools in our area that care enough about their students/teachers/parents to celebrate a successful school year. It is with gratitude I give tokens of appreciation to all the people who taught my children all different things this year or kept them in safe environments. I will buy tickets to support a local community theatre group and try to coerce my relatives to come and see our kids play pirates in an hour-long play or drive to the obscure theatre to watch my daughter dance for five minutes. For these are the markers of another year gone by. One where despite the full and crazy life we have, I manage to get out once a week for a run. I get to travel a little bit with and without the kids. I completed a novel. I took my son to his first professional baseball game. These are the memories they and I will have. And that, makes it all worth it. Even though all worth it, do not think for a moment that this particular mom of three, will not hesitate to pour a big tumbler of wine after dinner while the kids sing “Let It Go” to the neighbours and sit with my feet up on my toy-laden patio table looking forward to bedtime each night. For it is only after my little darlings are finally asleep and the house is quiet can I permit myself to do nothing. Absolutely nothing at all and for the next four weeks and I refuse to feel guilty about that.